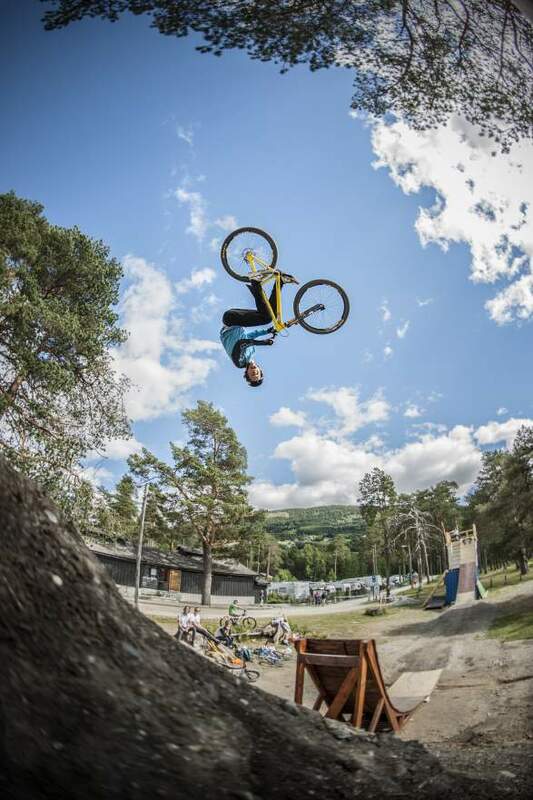 The “Veko” Extreme Sport festival at Voss is commemorating its 20th year. This year's anniversary festival kicks off tomorrow, with something for teenagers as well as retirees and everyone in between. "20 years ago, skydivers with large, heavy cassette-style camcorders duct-taped to their body jumped here. Today, they might be wearing ten go-pro cameras without even noticing that they're there," says General Manager of Ekstremsportveko, Sofie Torlei Olsen. A lot has happened, in the vast majority of areas, since the festival was first held in 1998. "The equipment used by the athletes is also completely different, including the fact that today's parachutes are much easier to control," says Olsen. The goal of Ekstremsportveko has since its inception been to create a meeting place both for and run by practitioners of various extreme sports. Everything came into place when the local rafting club in Voss won a championship and thus were commissioned to arrange the next one. 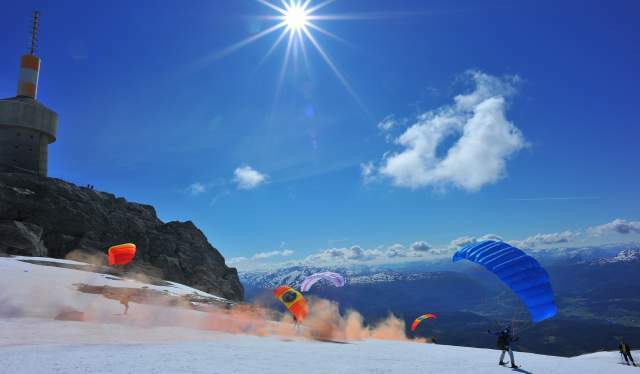 The rafters contacted the local paragliding club, which also happened to be holding a championship around the same time. The two clubs teamed up and then invited the skydivers and kayakers to join them. The number of participants has risen from 200 to 1,500, and the four original activities are now accompanied by 16 additional ones. This includes speed flying; a sport involving both skis and a wing. "In addition to 1,500 athletes and 900 volunteers, we expect 10,000 visitors at the festival. Since it’s free to watch the activities, there will also be a lot of spectators here who do not purchase tickets," says Olsen. 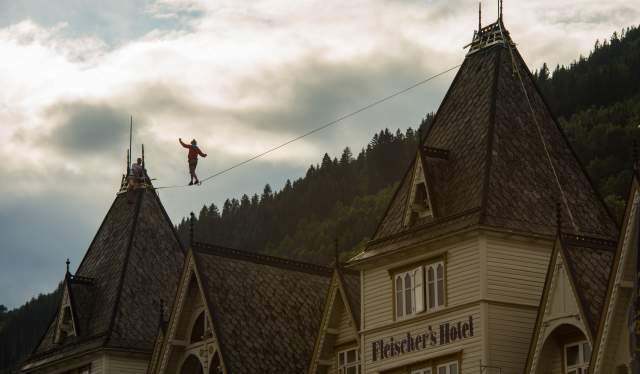 You do not need to be a teenager to engage in extreme sports at Voss. Retirees have also been invited to join the fun in recent years. "We started a few years ago setting up guided bus tours for local retirees so they could get around and check out everything that was going on," says Olsen. But watching was not enough for them. "They're so insanely sporty, these retirees, so they wanted to try things themselves. Therefore, we began to offer activities so they can try what they think looks exciting. This year, for example, they can do a flight in the wind tunnel," says Olsen. 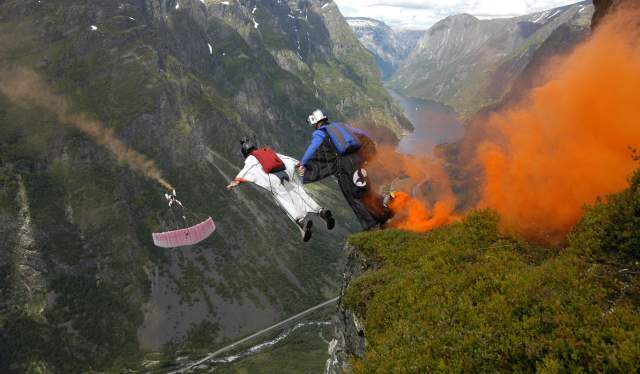 A couple of years ago, they had a very keen participant named Bjarne Stavenes who started skydiving in his 70s. 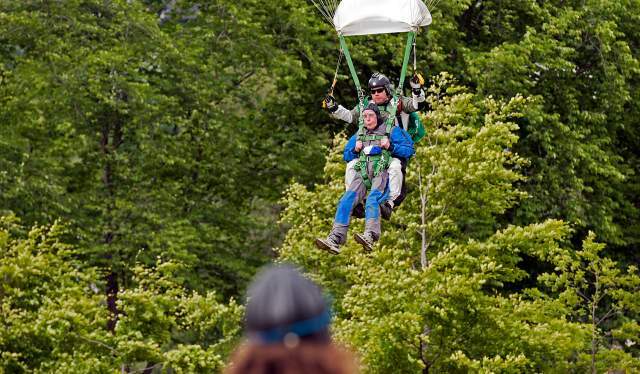 "He became a mascot for the festival, doing tandem jumps until he was 95. 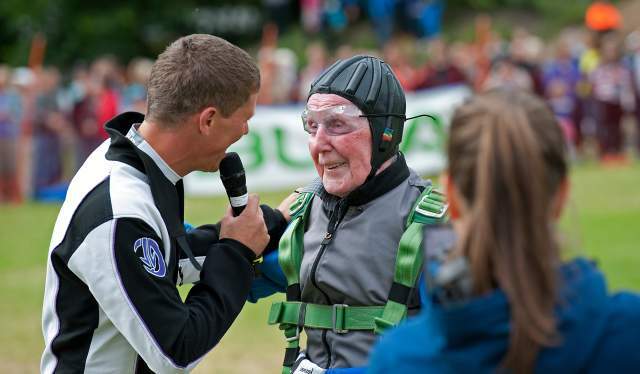 Unfortunately, he is passed away now, but he got a diploma from us when he jumped for the last time in 2014, declaring him Norway's oldest skydiver," says Olsen. Other guests are also invited to try different activities. Olsen says it's important to start at your own level, although better equipment and affordability nowadays make everything seem far more accessible. 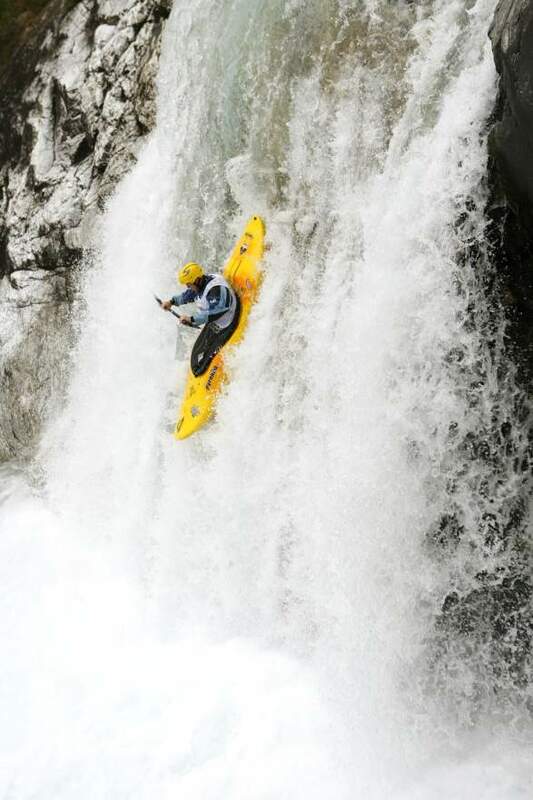 "Whereas we want to promote broader interest in extreme sports, we are also very focused on safety. We have introductory courses and low-threshold activities so that people can try things they're curious about," she says. This is true whether you're three, 25 or 80 years old. "The Veko festival is meant to be for everyone, and it shouldn't cost so much to take part. For the young ones, we have an activity course, bike track and canoes they can paddle with their parents. As you get older, you can take part in more things," says Olsen. But far from everyone is interested in speed and thrills. Olsen is one example; she prefers outdoor recreation involving biking and skiing rather than activities high above the ground. "I'm actually a bit afraid of heights," she says. Musical artists who appear at the Veko festival are also offered a chance to try an activity, but they also do not always choose the most extreme ones. "When George Clinton was here and held an absolutely legendary concert, he wanted to spend the day fishing," says Olsen. Of course, his wish was granted and Clinton is said to have been very pleased. The festival at Voss has met a lot of adversity, and been on the brink of bankruptcy more than once. Now, it is something people and companies want to be associated with. "The Veko festival helped put Voss on the map. 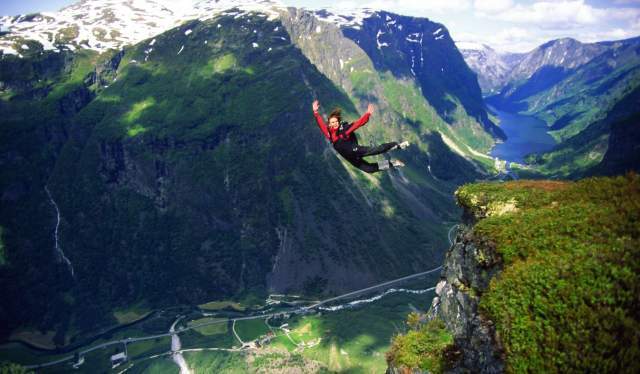 It has also played an important role for Norwegian extreme sports, including the legalisation of base jumping in Norway in 2000. We are about to get things rolling for the 20th time, and few people would have believed this were possible during the festival's first year," says Olsen. As part of the anniversary celebrations, they will be showing videos from previous years, and trying out the equipment and techniques that were used back then. The history of Ekstremsportveko is also being presented in an exhibition at the Voss Folk Museum. This will not only stay open during the festival, but right up until 28 August.